Hooked on Needles: Felt Book Received -- Goodies in the Mailbox! Today I'll share the felting book with you, and the others I'll talk about another time, but don't they look like fun too? This is a hot water bottle cover cut from pieces of a felted wool sweater with ribbing. You can see the top of the cover still shows the ribbing that was knitted into the sweater. There are full size templates for all the patterns in the book as well. This baby blanket is so cute and colorful made from squares of felted wool sweaters. 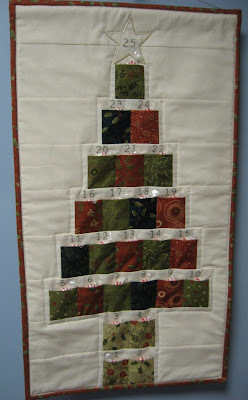 There are patterns for appliqués and instructions on how to stitch them onto some of the squares. 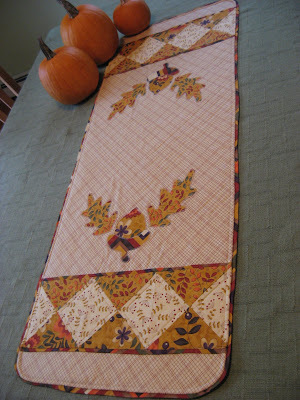 The ruffle around the blanket is made from felted ribbing. The stripes on this loopy striped pillow are made by cutting across the stripes of a felted wool sweater and then stitching some of the stripes into loops before stitching them onto the pillow background. There are so many other clever ideas and patterns in this book and full size templates for all of them. Also included are lots of tips for handling wool and recycling old wool clothing into new and useful items. There are quite a few projects in this book that I will put on my List of Things To Do and I'll be sure to share them with you when I get to them. Check the book out for yourself if you are interested. I am making a felted handbag right now for a Christmas present, first time felting, it will be fun! Wonderful! You'll have to send a picture when it's finished. Oh for the talent you have.....Love your blog! Come by and see me!!!! I have two blog post this Tuesday.